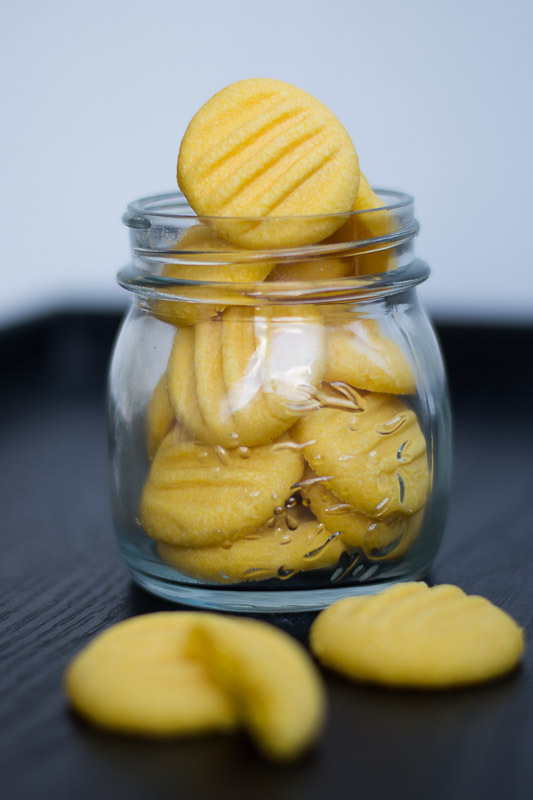 Recipe for Eggless Custard Powder Cookies. These are yummy Karachi bakery style biscuits. These cookies are melt in your mouth eggless cookies. This is another bakery favorite just like Indian Tea shop Butter Biscuits. People who love cookies are the best people. Cookies are the best bite sized comfort food. 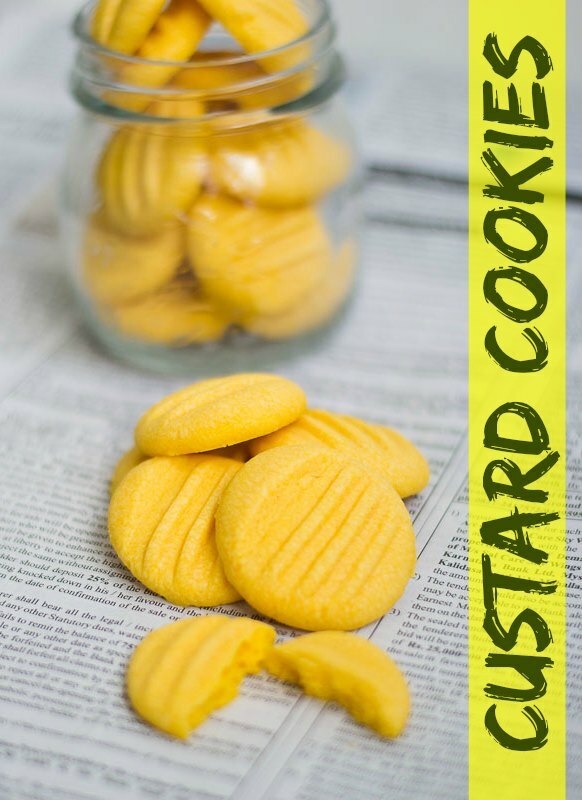 So lets indulge in some yummy melt in your mouth eggless custard cookies. These resemble Karachi Bakery style cookies. See related post here. First things first. Preheat the oven to 350F/180C. Then, we need to cream the butter. Its very important that the butter be absolutely at room temperature for this recipe. Beat the butter and vanilla with a wooden spatula until soft. The butter should be really really soft. Its the key for the texture of this recipe. 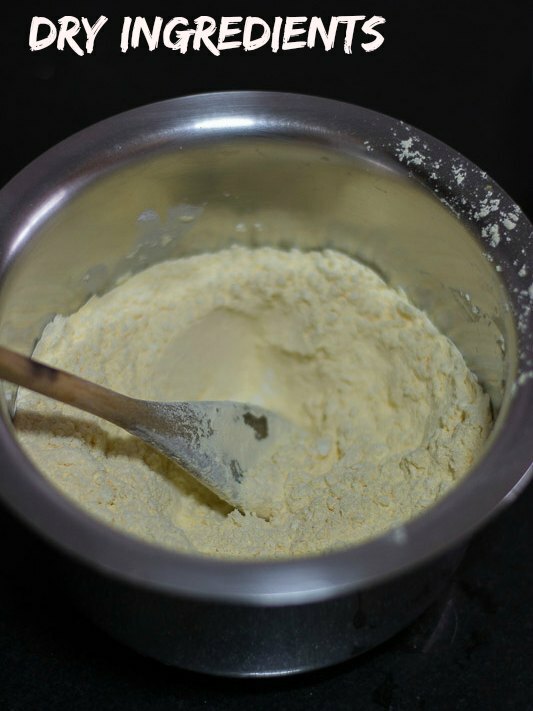 Take a bowl and add in the rest of the ingredients namely icing sugar, store bought plain vanilla custard powder and flour. Mix with wooden spatula until combined. 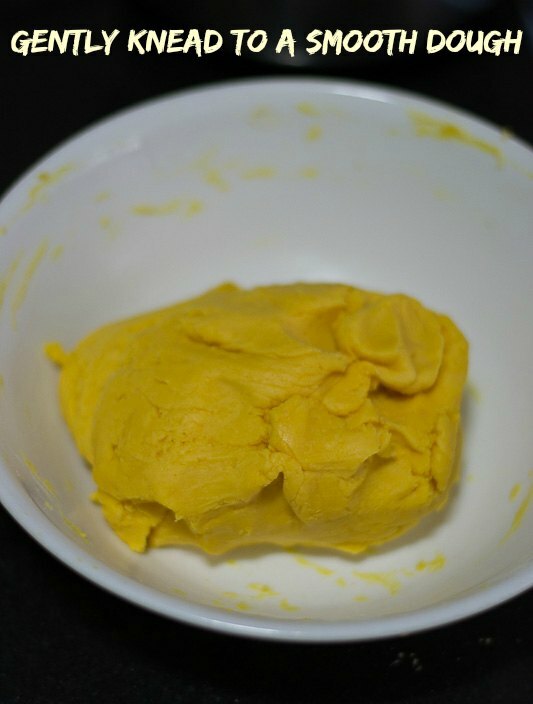 Add half of the dry ingredients to the butter and mix well. Once its combined, add the rest and mix well. Knead gently with hands to form a smooth dough. 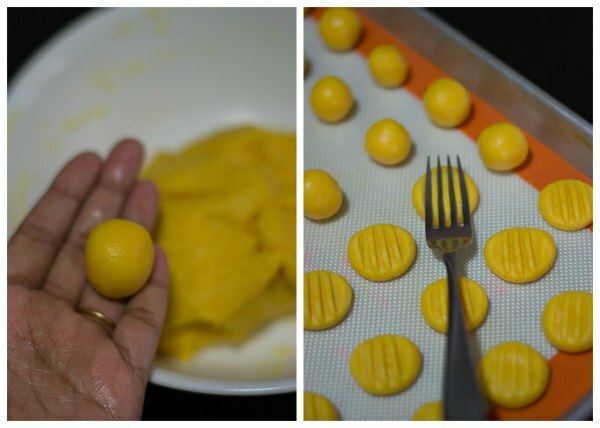 Make uniform balls (about 1 inch balls) out of the dough. Line on a parchment lined cookie sheet. Press the balls on top with a fork to mark those traditional lines. Cool the cookies on the sheet. Store in an airtight container for upto 3 days. 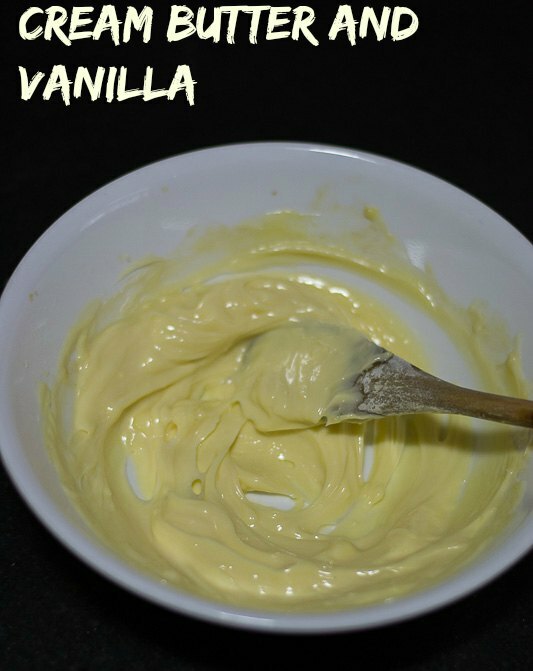 Cream the butter and vanilla with a wooden spatula until soft. Make uniform balls (about 1 inch balls) out of the dough. Line on a parchment lined cookie sheet. Press the balls on top with a fork to mark lines. I have tried this yesterday. Cookie got melted and it didn’t stick to the shape.but the taste was good. Easy Peesy recipe! Made’em..Loved’em!!!!! I wanted to make something to satisfy my dessert craving post dinner. Had all the ingredients at home and quickly made them. The buttery aroma was so inviting that my Mom gobbled up 6 of them ,while they were still on the cooling rack. Had to save some for my Dad, who had no trouble in finishing off another 6 of them by himself. Hi suguna! These cookies look fab. Just one query before I try is no raising agent I.e baking soda or powder required at all? Leavening is not required in this recipe. Can I use powdered sugar instead of icing sugar? Yes. you can. Make sure they are powdered fine. sorry, I dont have cup measurements. I’m craving for the Kara Biscuits from Iyengar’s Bakery. Have you tried making them. Please post the recipe. Missing Indian bakery treats. Thank you for sharing recipes. Thank you. Will try posting one soon! Would love to try this recipe .. can u please tell the measurements in cups ? in place of confectioners sugar minus the cornflour? Hello, can I substitute butter with margarine? I can’t wait to try this recipe! Can we use coco powder instead custard !? Just for chocolate lovers..if so what could be the amount of coco? Can we use coco powder instead custard !? Just for chocolate lovers..
You can remove some of the maida and in that place you can try cocoa. I have not tried personally but it will work. As we all have..I too love preparing food for my loved ones. I made this for my family and packed it to India for this vacation. That was a super hit in my family. Their thanks and wishes to you which I wanted to convey for sure. And I’m just reading your reply else would have tried with coco and reviewed that as well 🙂 thank you mam.. You deserve soo much of love. Thank you Pradeepa! Your comments mean a lot to me. Glad you liked it. Happy Cooking! Is there any alternative to silicon sheet ?? Can I use butter paper ?? You can use parchment paper. Can I just bake it directly without any sheet or paper ?? Just the baking tray only ?? The cookies might stick if the parchment is not used. salted butter makes the cookies very salty. Try unsalted butter. This recipe looks very yummy! I want to try making this…I had a question though…Is there no requirement of baking soda or baking powder for this recipe? Will the cookies rise and be good enough without them? TIA. You are right. No leavening in this recipe. try and let us know if you like it! Kannamma, the cookies came out beautifully. Soft yet brittle and melting in the mouth. The amount of sugar was just perfect. You made my first attempt at baking cookies a success. Thankeee. But mine were a cracking a little when I pressed on the cookie stamper and also more naan-khatai family than cookie. Any ideas why that could have happened? 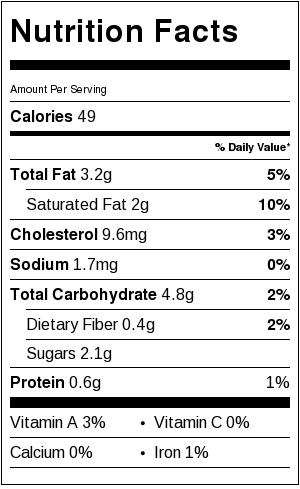 All ingredients were properly measured with a scale. Once they cooled, they were better so don’t bother now. I’m making them again today. They were so tasty! Hi…I tried these cookies today and they were divine..tasted yummy and my lil one was asking for more.. But my cookies started spreading out while baking and the final output was thin crust cookies..did not resemble yours though I used exact measurements. Can you please tell me where I would have gone wrong.Thank you!!! Did you use a scale to weigh? Yes I used a cooking scale..I had the same problem with tea kadai biscuit recipe too..but the taste is good. That is strange Uma. May be try to calibrate your oven temperature. May be there is a difference. Sure will try a lower temperature and try another batch. Thanks for the quick response!!! Just tried these and they are awesome. This is going to be a recipe that I am going to use very often. Thank you so much. Really glad that you liked it. I tried these cookies and they came out excellent.My husband complimented them by saying that they taste much better than any store bought cookies. THANK YOU very very much..? Thats a really nice thing to say Steffi. really happy that you guys enjoyed the cookies. Could you pl out down the measure in cups? I am thrilled to try these. sorry. I dont have measurements in cups for this recipe. Hi, I was wondering if you could put up the measurements in cups, as I do not own a kitchen scale? Thank you Suguna for your reply. Sure will help. I’ll try observing the exact time it takes, next when I bake. When I bake bigger quantities can I bake in two racks, interchanging the trays midcycle? Sure Valli. You can do that. Tried these cookies. They tasted yum. Thank you fr the recipe without baking powder. I need a clarification from you please. I have a Murphy Richards 60 RCSS OTG. When baking do I have to use both top and bottom rods heated or only bottom. The manuals says only bottom. When baking cookies I find the centre is soft and not crisp even after cooling. I have been struggling fr quite sometime with this. Need your help. Hi Valli, Each and every oven is different and you may need to calibrate it. Usually for baking, use only the bottom rods. If an oven takes 15 minutes to bake, the same recipe in a different oven may take + or – 2 to 3 minutes and that’s perfectly fine. Just time your oven next time so you know exactly how many minutes it takes. So then you will be able to adjust the timings accordingly. Hope this helps. I tried this cookies.. came out excellent.. melting in mouth. Thank you soooo much. My 3 yrs old girl loved this.. So nice that your little one loves it. Thanks for writing in. Thank you so much Preethi! Hi Suguna..Thank u for the cookies.. want to try it.. Instead of icing sugar can we use regular sugar.. Regular sugar will stay as granules and not melt during baking. Perfect cookies..had a thought about softness as there is no baking powder or soda..but it came out so nice and just melted in mouth. Thanks for a recipe. Hi, i am using otg give me the tips how to bake cakes ,because when i am making a cake it is becoming sticky inside. Can you explain a little bit more. Hi Annalyn, You can check out Food Hall, MG Road. You will get everything there. Dear sugu sis., …..vanakkam. My hearty new year and pongal wishes. 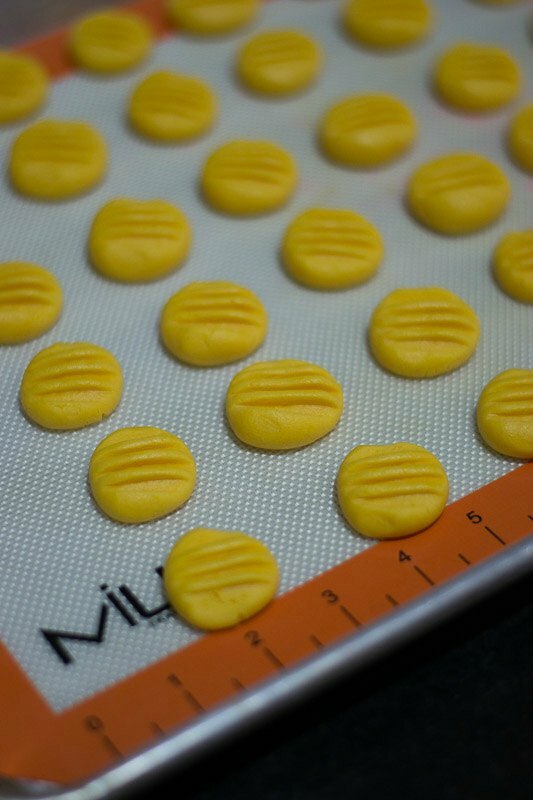 Made eggless custard cookies…my first baked goodies. Truly a beginner s recipe. lessons learnt No.1-the balls made out of dough MUST be of uniform size and shapes. I missed out in this aspect. Some cookies turned brown. No.2- eyes on the oven. These cookies are so delicate that it just turned brown in seconds. Thank you so much for such easy recipes. Making cookies is a cake walk….you made it possible deary.pl pl keep going. That’s so nice Andal. Venturing into baking. Thats so super. welcome to the club. I am new to baking. What’s d difference between baking soda and baking powder? Their role in baking? Can we substitute wheat flour to maida for cookies.? You cannot substitute baking powder for baking soda. And direct substitution of wheat flour for maida may give you very hard cookies.